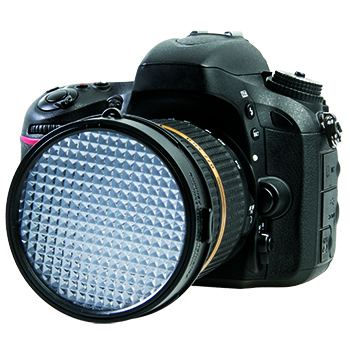 ExpoImaging, creators of the innovative Rogue FlashBender 2 speedlight modifiers, has today highlighted the recent improvements to the patented ExpoDisc Professional White Balance Filter to the UK photography market. ExpoDisc 2.0 is an easy and accurate way for photographers to set a custom white balance meter for exposure, and to dust map the image sensor. Whether shooting in RAW or JPEG, photographers can use ExpoDisc 2.0 to save valuable time editing photos and videos. To maintain its reputation as the premium white balance tool, each ExpoDisc 2.0 is individually calibrated by hand in the USA, for neutrality, and an 18% total light transmission across the visible spectrum. This neutrality is important because using a non-neutral tool for white balance can actually add undesirable colour casts to images. Comes with a sturdy carry pouch and user quick start guide. The ExpoDisc 2.0 Professional White Balance Filter is available to purchase through leading photography retailers and is distributed exclusively by Color Confidence. For further information and to purchase your ExpoDisc 2.0, visit: www.colorconfidence.com. This entry was posted in Calibration, Color Confidence Range, General News, Photography and tagged Calibration, Color Confidence, Colour Management, ExpoImaging on May 28, 2015 by Color Confidence. A guided tour of the Hawk aircraft by one of the engineers. The Red Arrows flying display practice. A majority of the team had their professional photography equipment at the ready! We have supported the Red Arrows for a number of years and provide them with colour management services, prints and equipment. Our guided tour of the Hawk aircraft. This entry was posted in Color Confidence, General News, Printing and tagged Color Confidence, Printer Profiling, Printing, RAF, Red Arrows on May 26, 2015 by Color Confidence. Key Vendors Nominated in Pro Moviemaker Gear of the Year Awards 2017! Colour management – a refresher | The Color Confidence Blog on Spring is here!